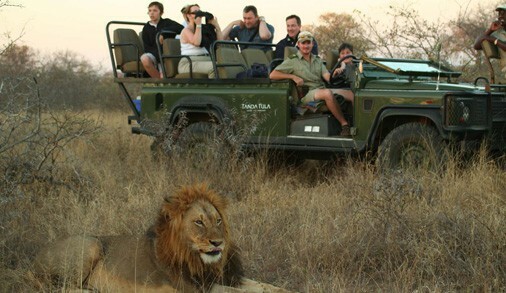 South African National Parks (SANParks) launched a brand new tourism drive on Tuesday, 26 March, named the 2022 Responsible Tourism Strategy. In the next 10 years, SANParks will be doing things differently to keep up with visitors' changing needs as well as the ever changing landscape of government funding. The new strategy takes its lead from a groundbreaking move that the SANParks board adopted in 2011, which seeks to define the objectives, guiding principles and values, as well as an implementation and monitoring plan for nature-based responsible tourism in national parks. 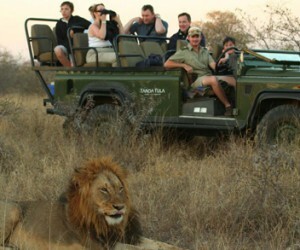 It incorporates the aims of the National Tourism Sector Strategy launched in 2012 by the national department of tourism. Among other things, SANParks will aim to encourage the communities who live around the national parks to protect the areas by highlighting the benefits it will hold for said communities. They will also be responding to the needs of a new breed of visitors to the national parks, with different preferences. According to Glenn Phillips, SANParks managing executive: "The new breed of visitors that SANParks wishes to attract will still respond to the lure of the wilderness, but they want to do more than drive around in their car, hoping for a glimpse of the Big Five. They want to be out in the veld, hiking, biking, swimming, canoeing, beachcombing, mountaineering, dining under the stars. They expect more than a rondavel, a clean ablution block and a communal fire." At the moment, the major challenge facing SANParks is funding. Since 2000, the conservation estate under management of SANParks has grown by 558 000 hectares, which has pushed up the cost of conservation greatly. Apart from the conservation aspect and ongoing research, there are 4 223 kilometres of tourist roads that have to be maintained. It is estimated that profit from tourism operations should be in the region of around R800 million while operational costs are expected to reach around R1.4bn, which is a massive shortfall. Adding to that, the fight against the scourge of rhino poaching has sucked in significant financial resources that SANParks simply does not have. SANParks tourism operates at very high occupancies and the opportunities to grow simply out of annual rate increases is just not sustainable. Therefore an option, Phillips suggests, is to develop additional products and services that lend themselves to the natural attributes in each specific park, but which still deliver on the core mandate of biodiversity conservation.